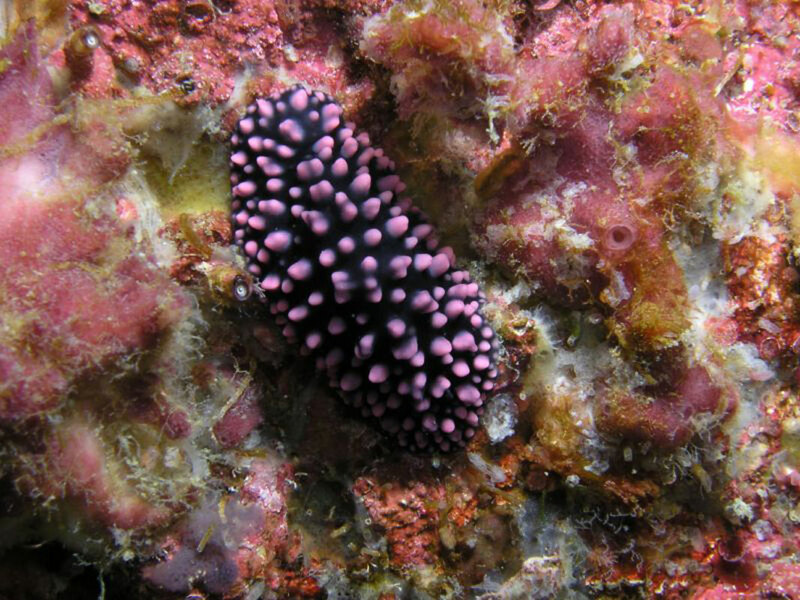 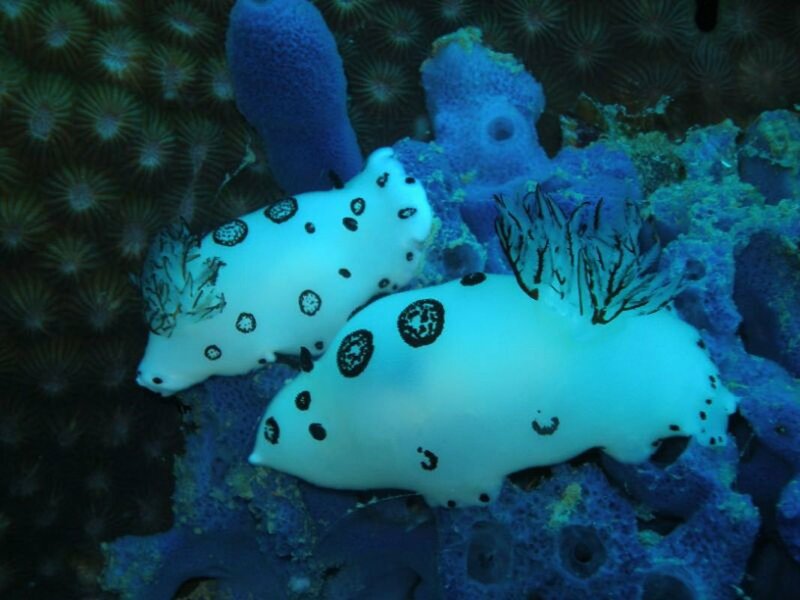 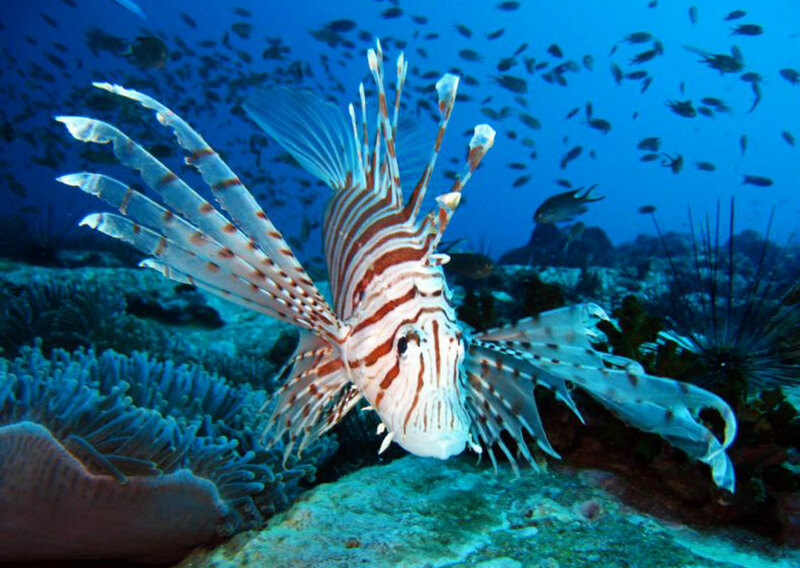 Scuba Diving Fun has selected a few of the best dive sites of the beautiful ANDAMAN sea, whether you are a beginner or a certified diver, you will find what you are looking for in Thailand ! 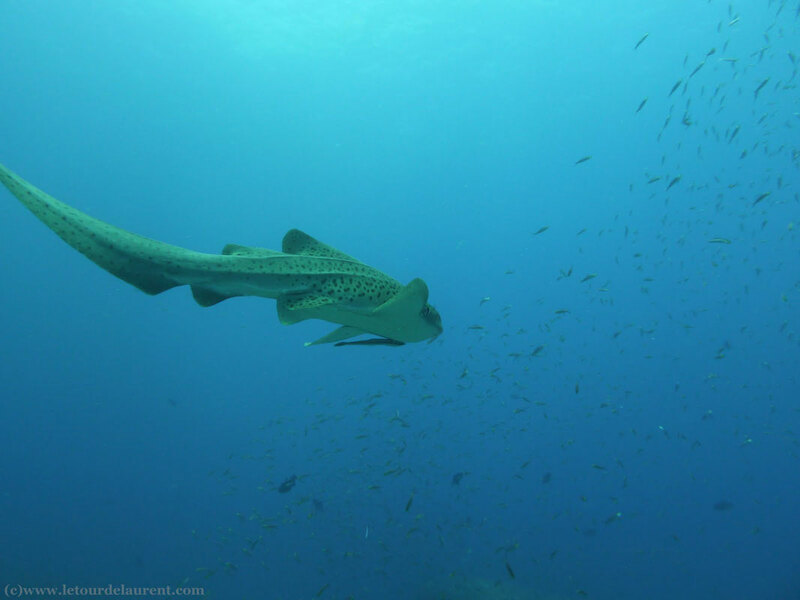 Deepest site around Phuket, 60 meters, where you might have the chance to meet the majestic whale shark or the graceful manta ray while barracudas, stingrays and other tunas are already waiting for you ! 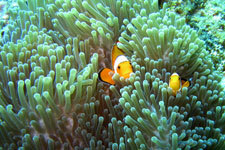 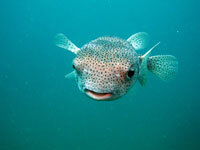 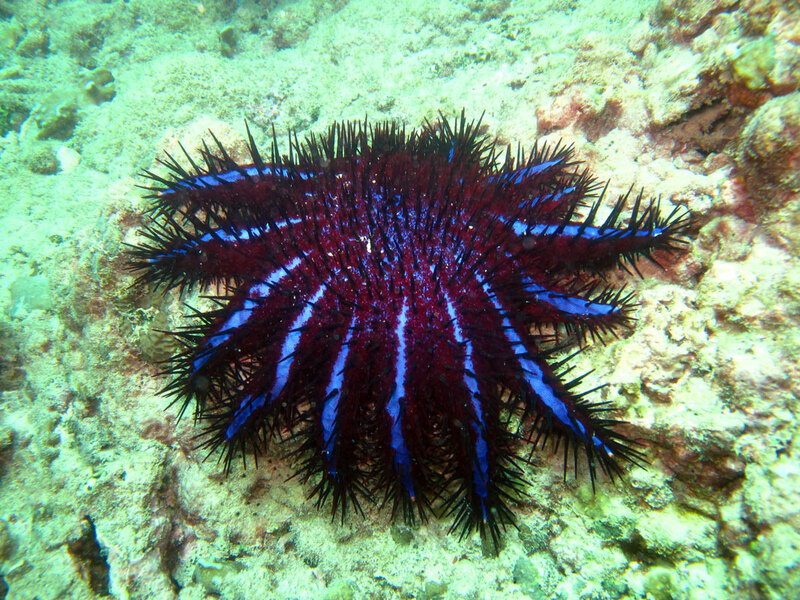 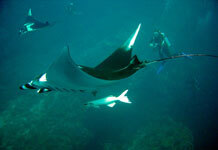 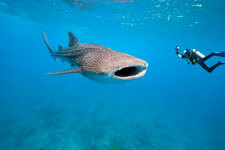 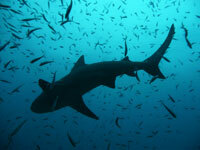 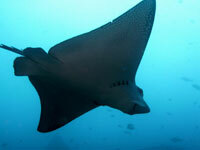 Racha Yai island is a popular site among divers due to the clear visibility ( an average of 15-30 m ) all-year round. 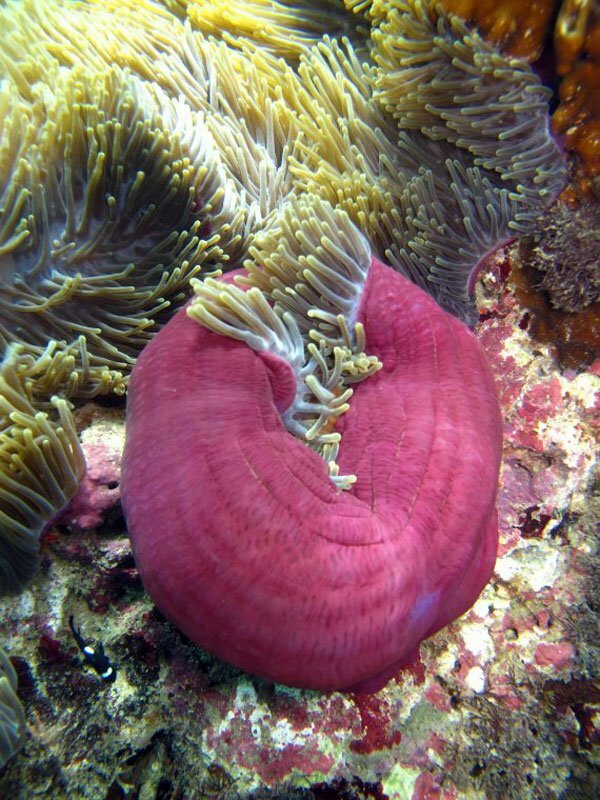 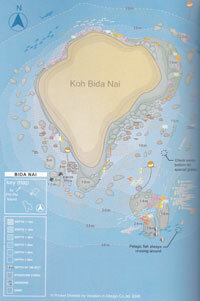 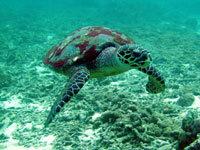 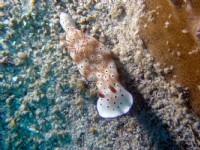 Consisting mostly of hard coral reef slope and flat bottom covered with white sand, the site is sheltered inside the bay and is thus free from strong currents.This combination makes Racha Yai Island an ideal place for beginners and infrequent divers.There are also deeper reefs, which are suitable for more experienced divers. 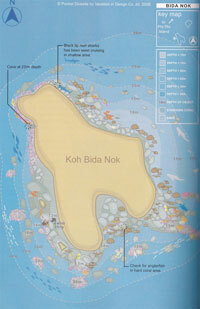 Both Bida islands in south of Phuket offers many possibilities ranging from coral gardens with falling along the rock formations. 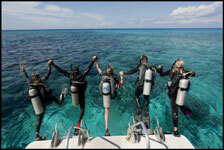 A beautiful day of diving if we add the magnificent view of this location. 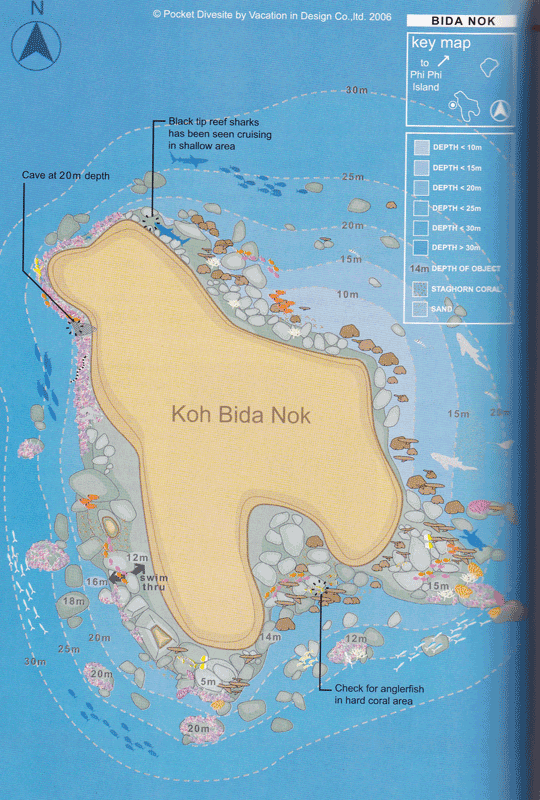 Boasting a remarkably dramatic underwater topography, koh Bida Nok is characterised by speed precipices, caves, swim-throughs and underwater crags. It is no wonder that Koh Bida Nok and its sister island Koh Bida Nai are two of the most popular dive sites in the Phi Phi islands ! 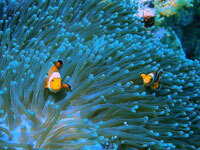 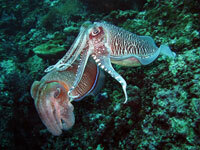 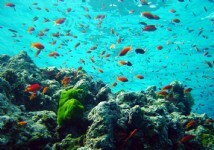 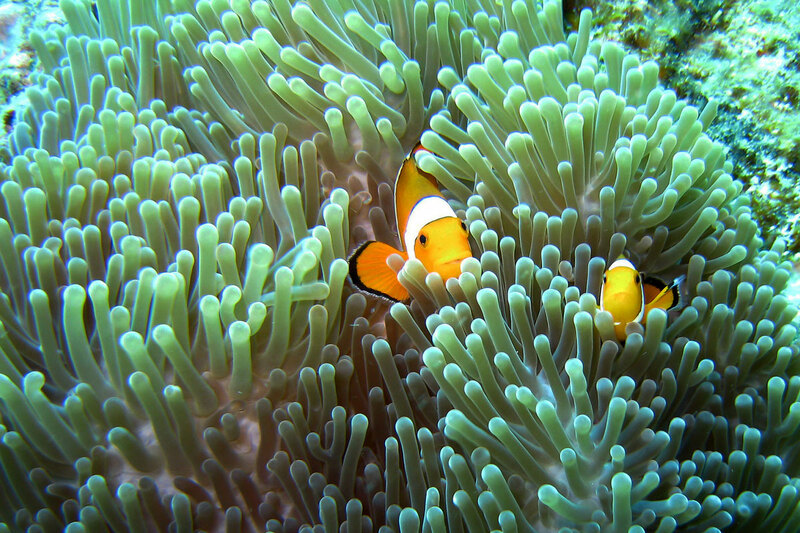 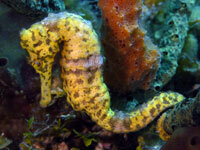 Some will tell you that there is the greatest variety of marine life, and that's saying something ! 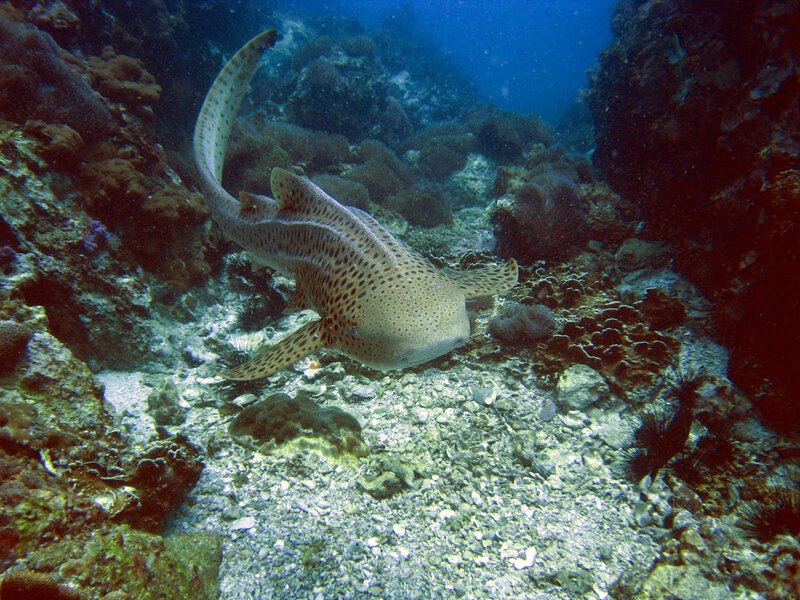 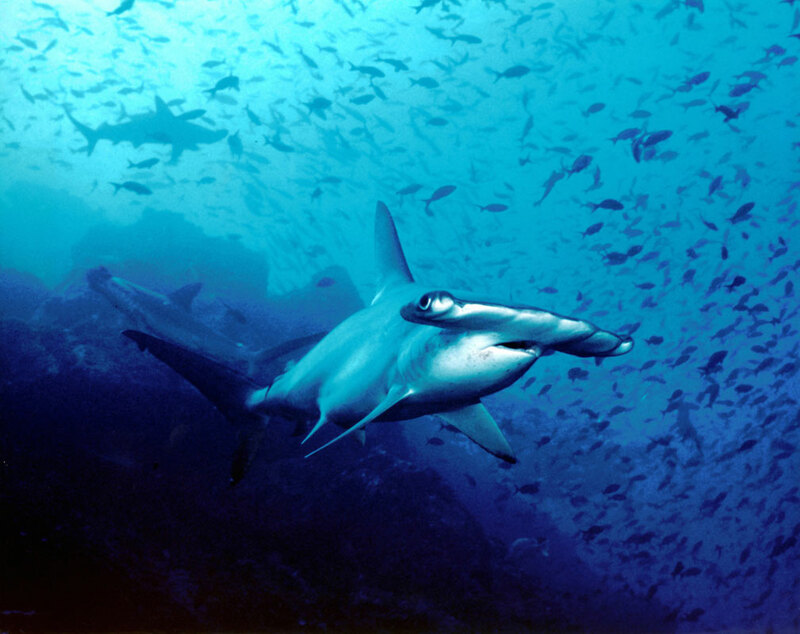 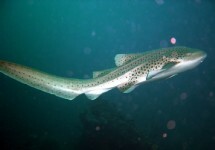 Covered with a carpet of anénes is home to schools of pelagic fish chasing smaller, leopard sharks, moray eels, sweetlips and many other colorful species. 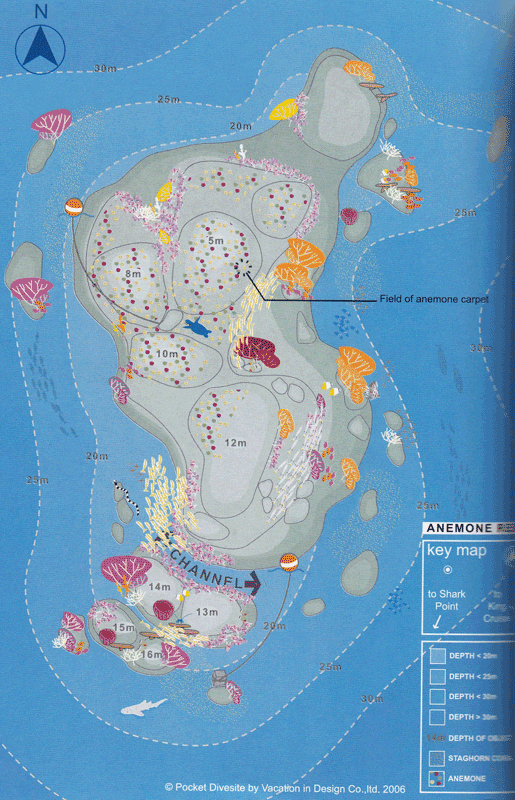 Once in the water, directly go down on a large area in the blocks 20 m. Nice ride in the middle of blocks covered with marine life, and crynolines clusters of hard and soft corals. 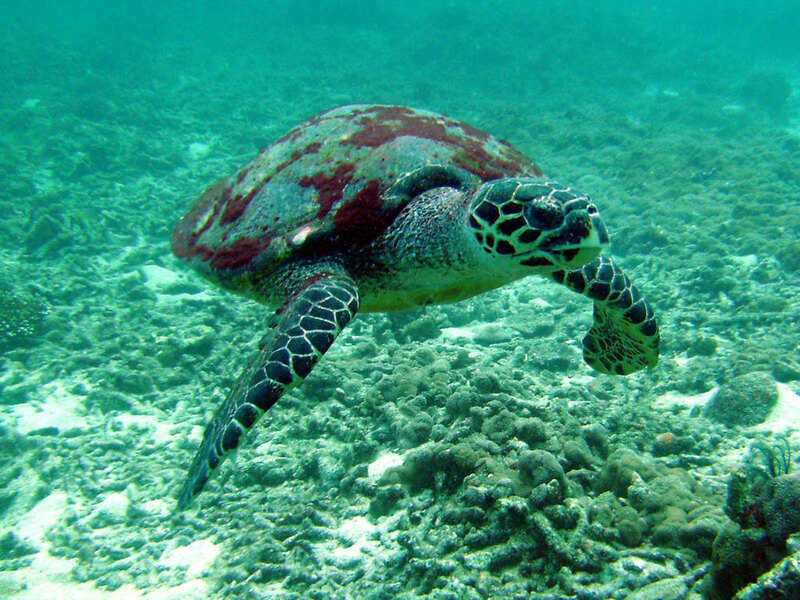 Cross a turtle during this dive is common. 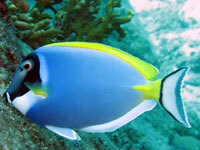 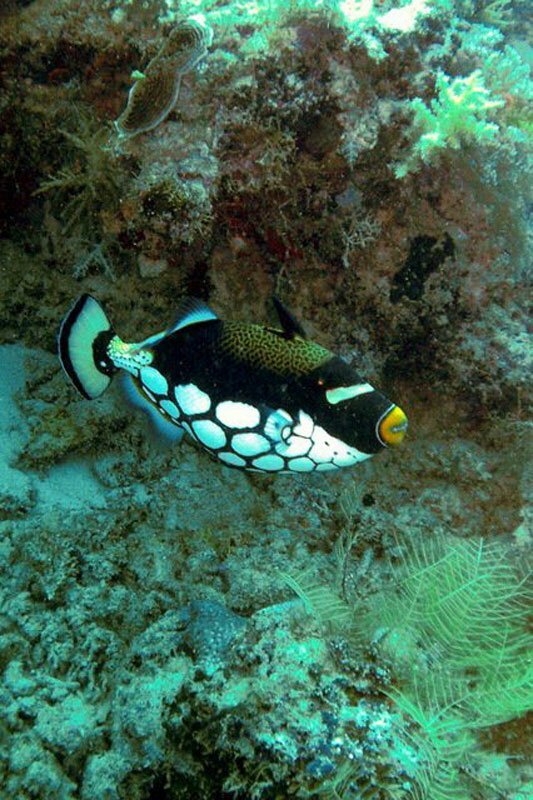 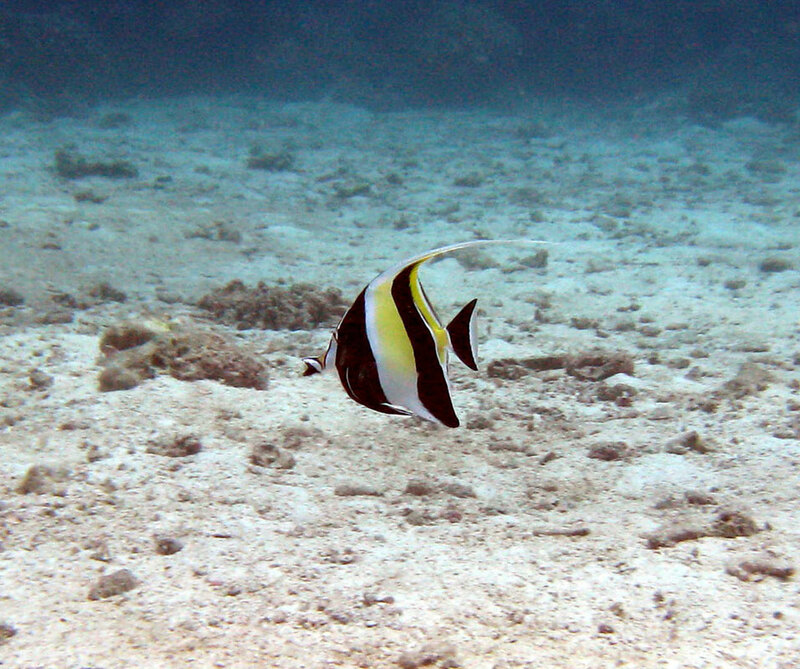 Many surgeons are blue and triggerfish . 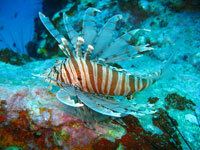 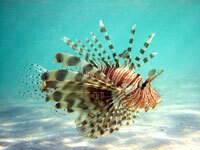 Follow the long groove 3 m north - east of the site, covered with gorgonians that house lionfish and hundreds of juveniles. Breathtaking dive around large blocks stacked in more than 30m , some isolated, others forming arches, caves and tunnels at all depths . 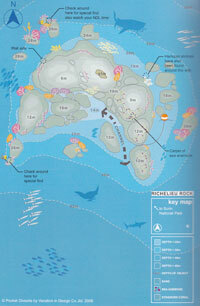 The descent takes you to the buoy on a huge block of granite populated parrots. 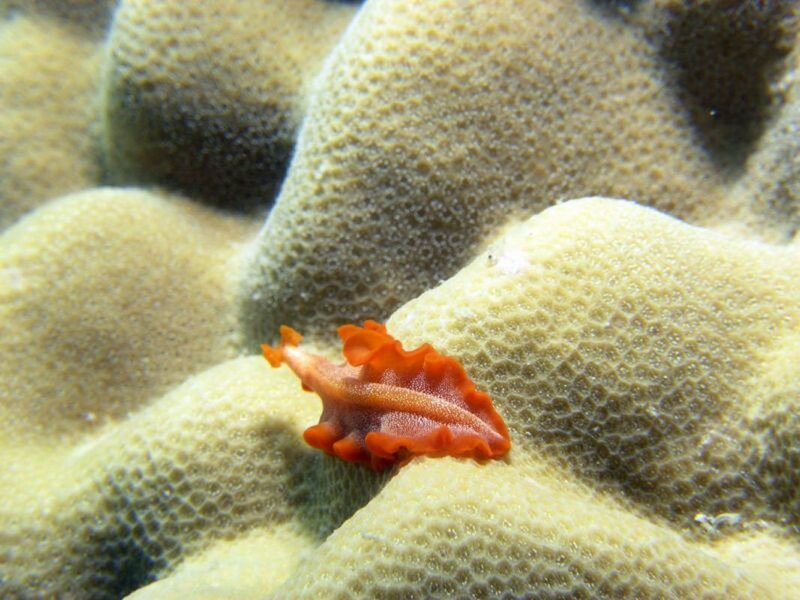 The eastern part of the current block is sheltered covered with soft coral. 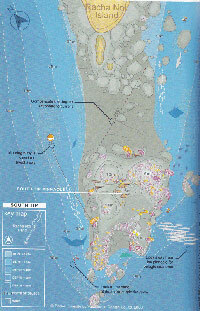 Further south the blocks are organized into leaving passages sand. 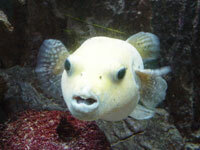 You can meet the emperor and imperial angel fish, titans and juvenile fusiliers. 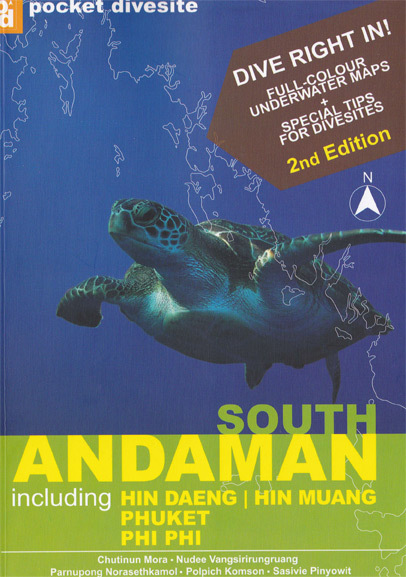 The extreme south is composed of a group of peaks in deep water. 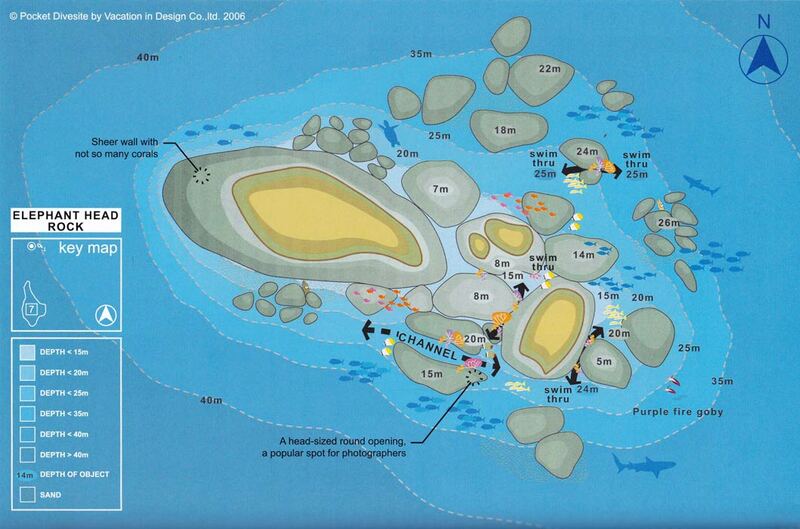 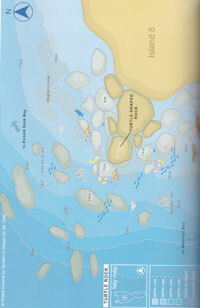 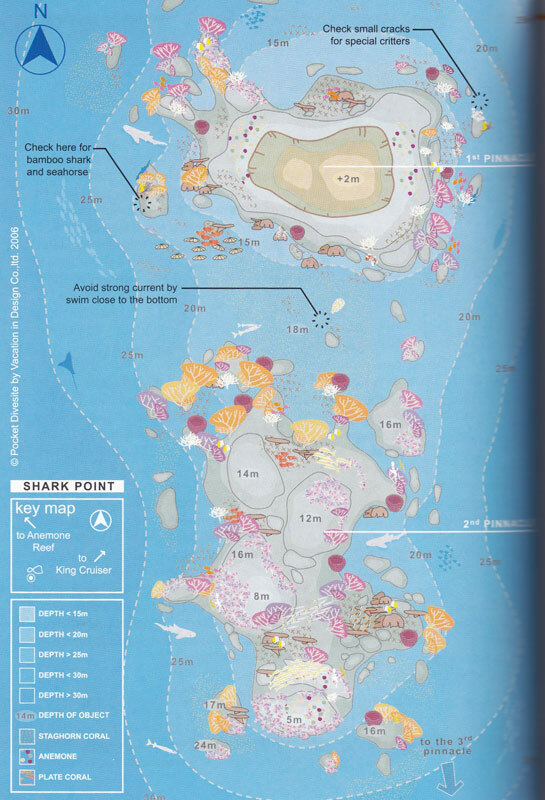 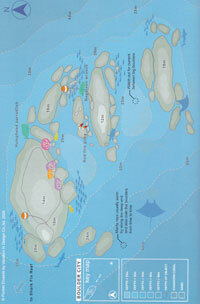 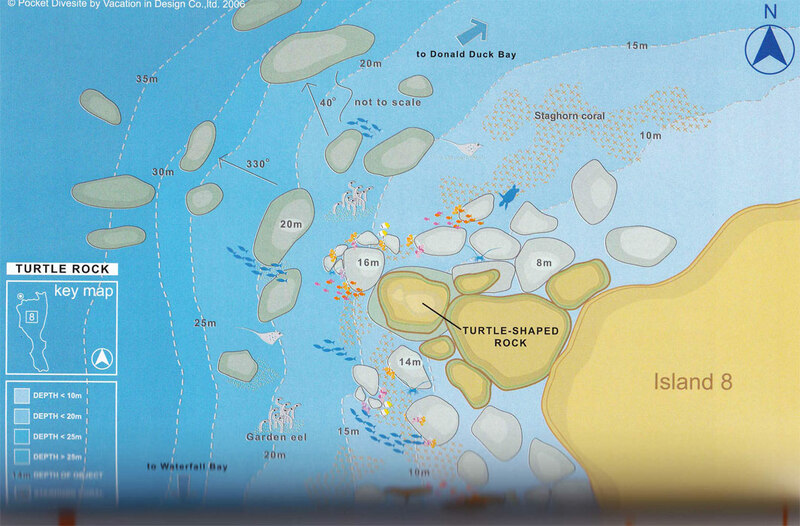 This is the realm of small reef sharks. 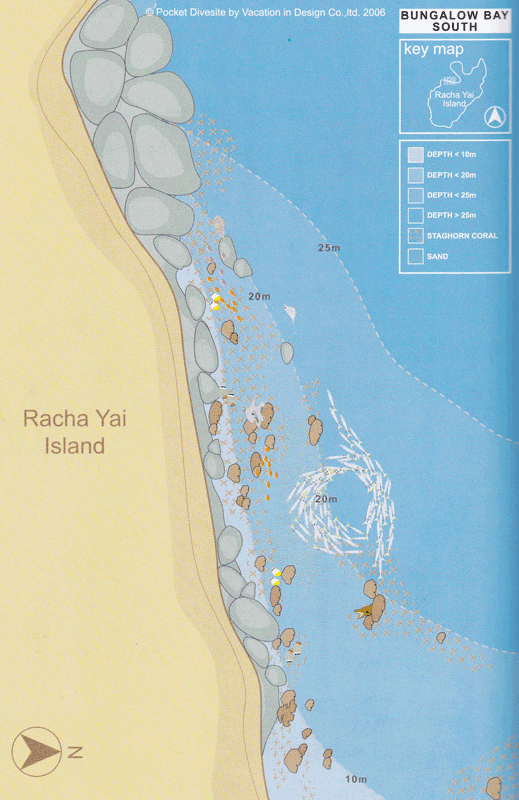 This site is composed of large blocks of granite more or less aligned from south to north. 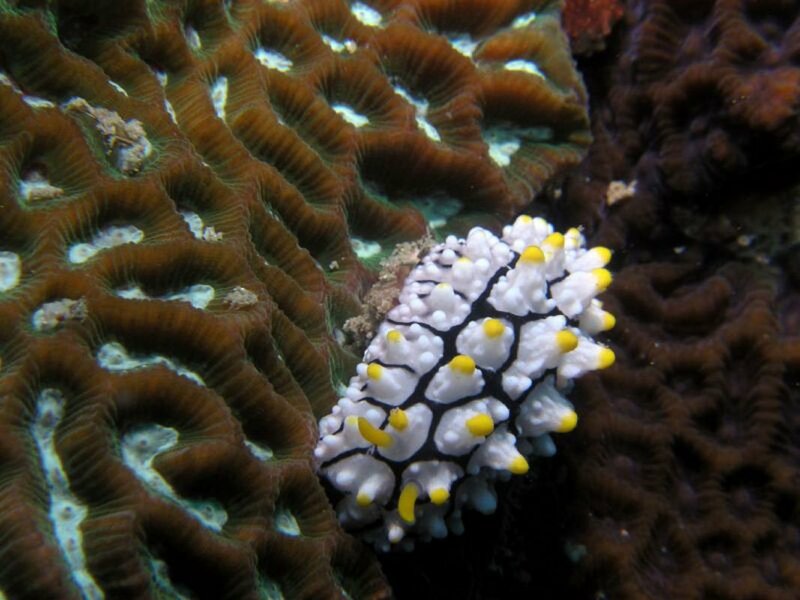 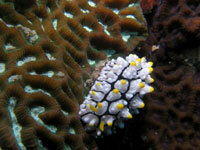 The western part is more interesting with hard coral formations suggesting to separate broad valleys mountains. 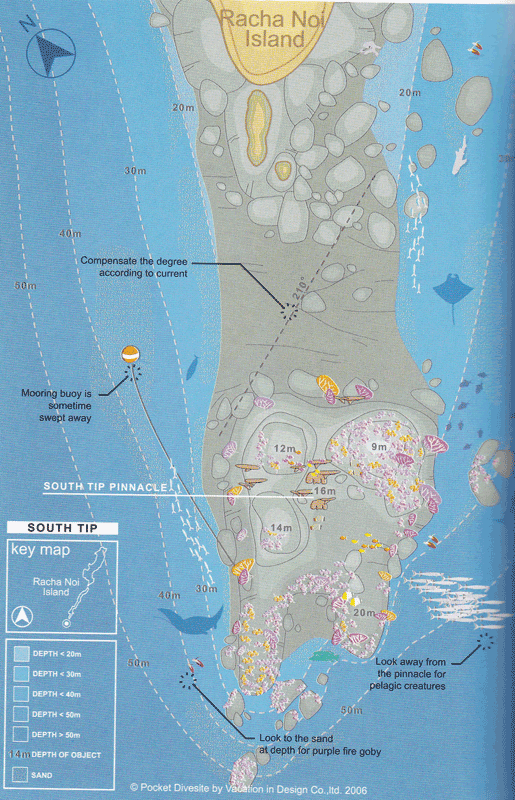 Go through the southwest to reach a rocky plateau. 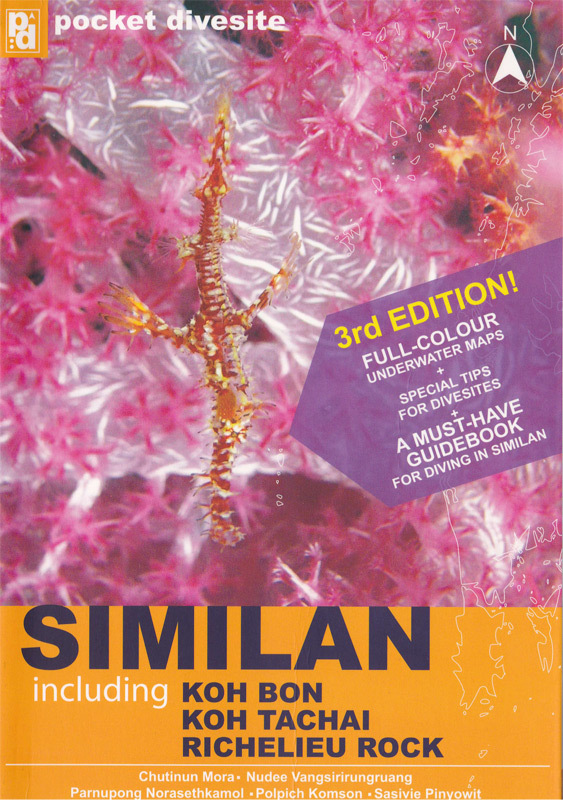 There are gorgonians and sea whips table corals are beautiful and the fire coral . 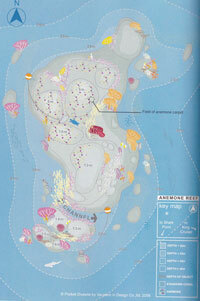 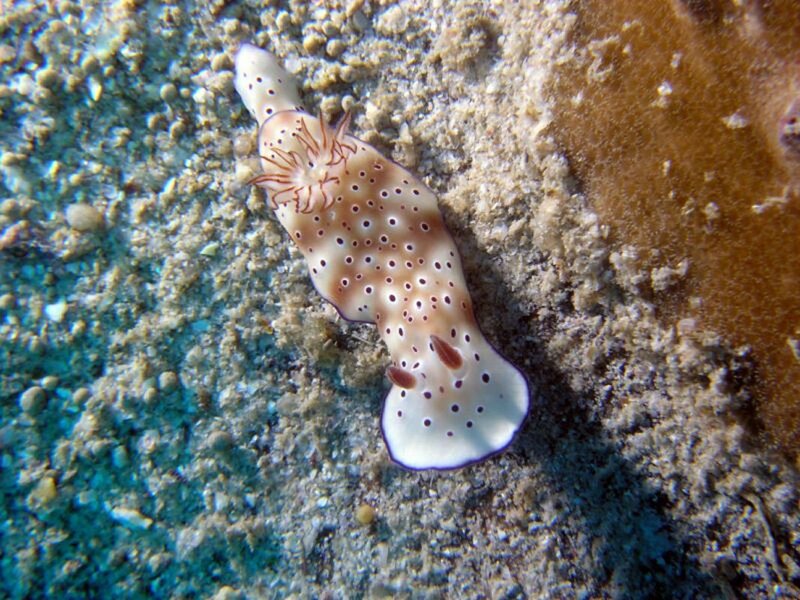 Soft corals and crinoids, shrimp, lionfish, groupers, scorpions ... all adopted this site. A large barracuda patrols above . 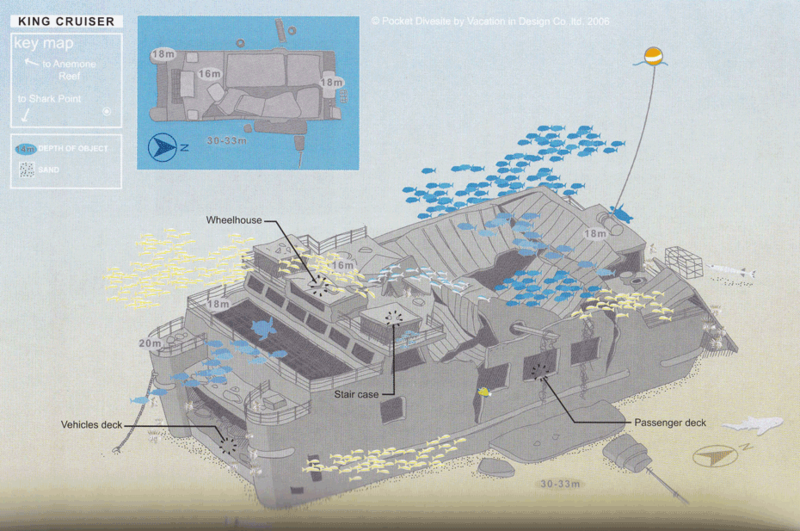 This site is composed of large blocks of granite more or less aligned from south to north . 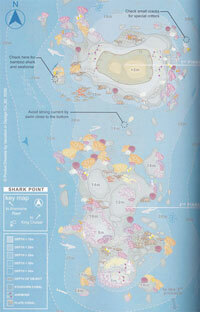 The western part is more interesting with hard coral formations suggesting to separate broad valleys mountains. 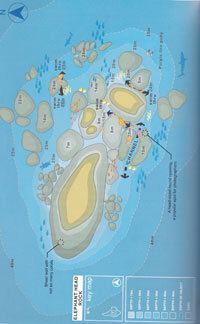 Go through the southwest to reach a rocky plateau . 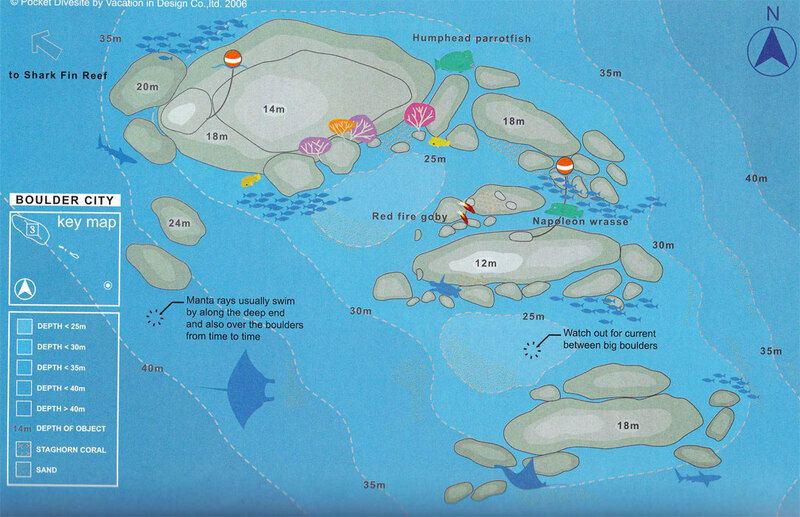 hung gorgonians and sea whips table corals are beautiful and the fire coral . Soft corals and crinoids, shrimp, lionfis , groupers, scorpions ... all adopted this site. 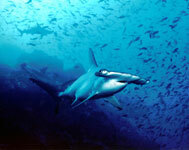 A large barracuda patrols above.